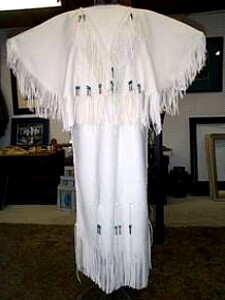 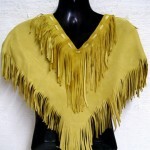 This beautiful yoke or dance shawl can be worn over anything and it is a one-size fits most. 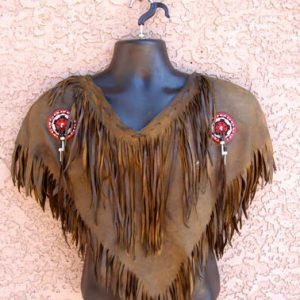 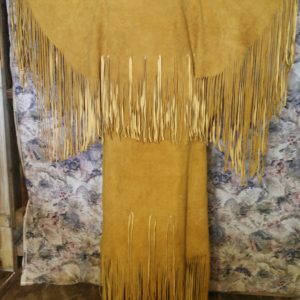 The shawl is made from buttery soft buckskin and the hand-beaded rosettes will be different colors & patterns for each shawl. 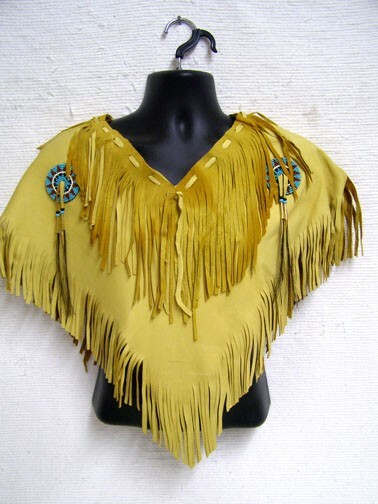 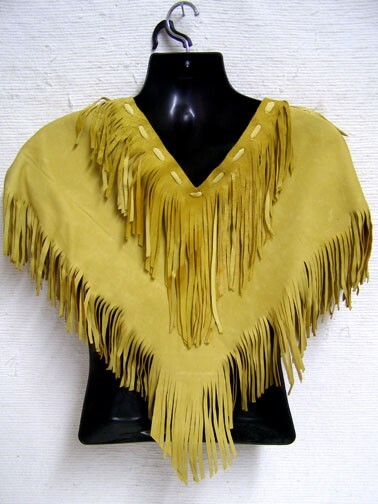 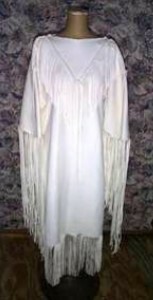 The drop from the shoulder is to the end of the fringe in the front and the back is 24″. 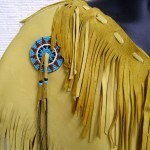 The neck opening is 10″ across. 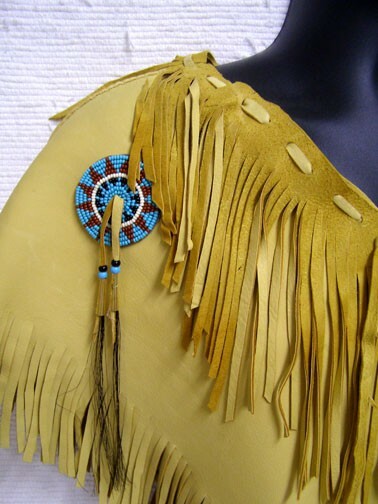 This is a beautiful accessory for any event.